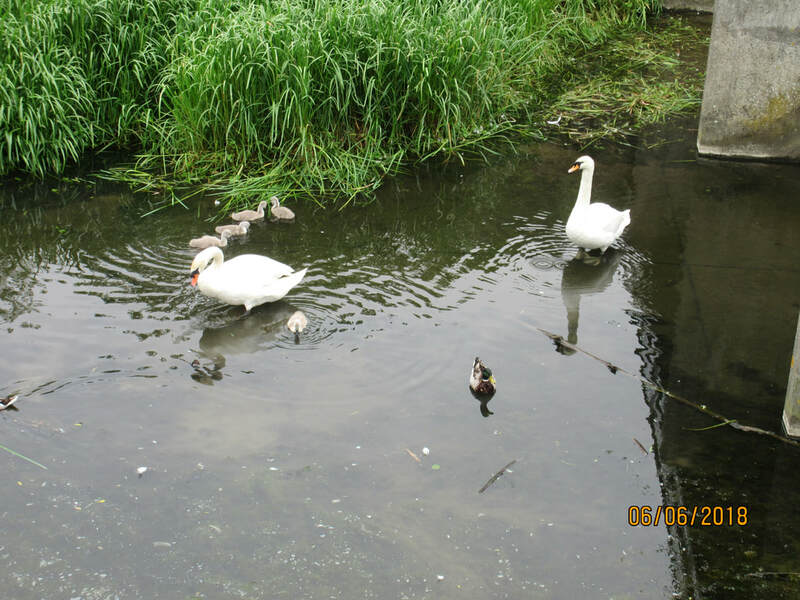 Meet 10.30 am outside Village Hall for walk along Green Lane and back by the river ending up at the Wheatsheaf. These walks are planned but they may be changed at any time due to circumstances. Dates the 1st Wednesday of the month unless otherwise stated. We are hoping to link up with WIs on our walks and to commemorate the end of the 1914-1918 war by looking at the village War Memorials. 4th JANUARY Colwick Park –Winter Walk for a short day. 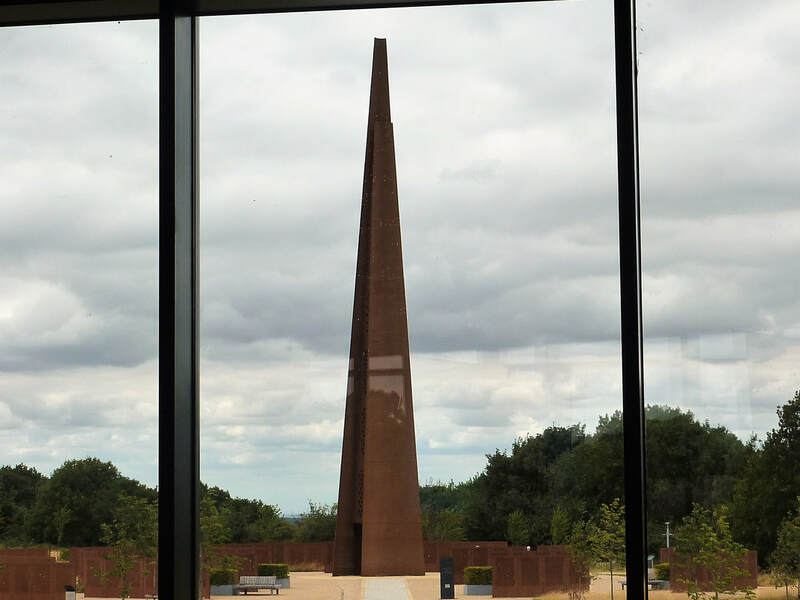 4TH APRIL A Tram Walk to Hucknall, possible link up with WIs and WW1 village memorials. 6TH JUNE A visit to Jacksdale and the WI. 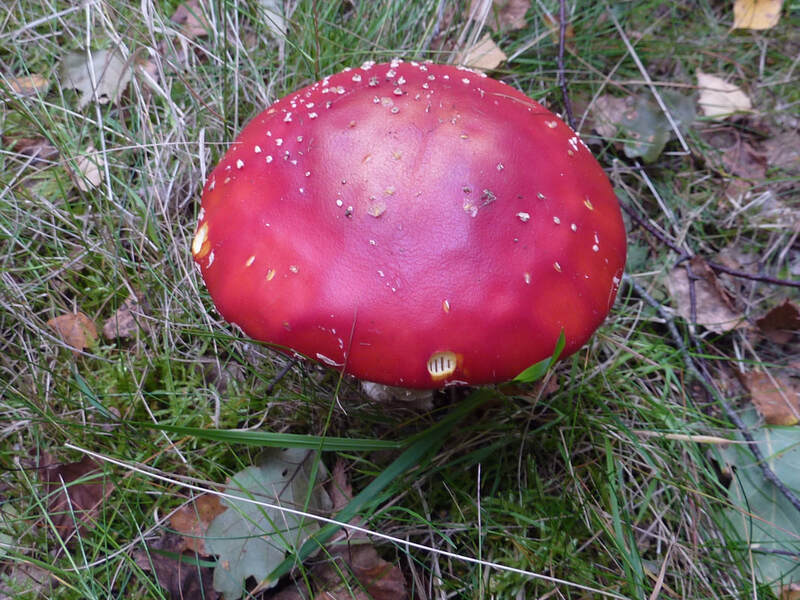 3RD OCTOBER An Autumn Walk in North Notts. Family and Friends BBC Children in Need Walk through village and along riverside and back to Community Church for refreshments. 7th NOVEMBER A walk around Southwell. 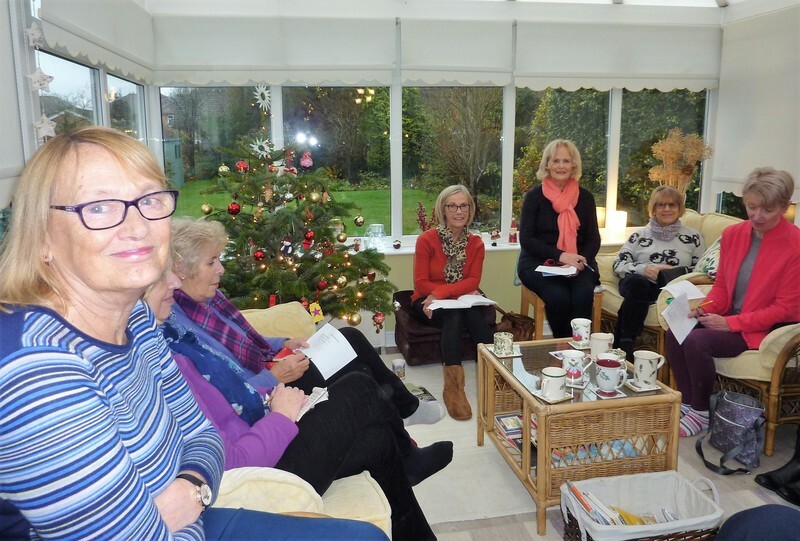 5th DECEMBER Planning and Lunch Walk. 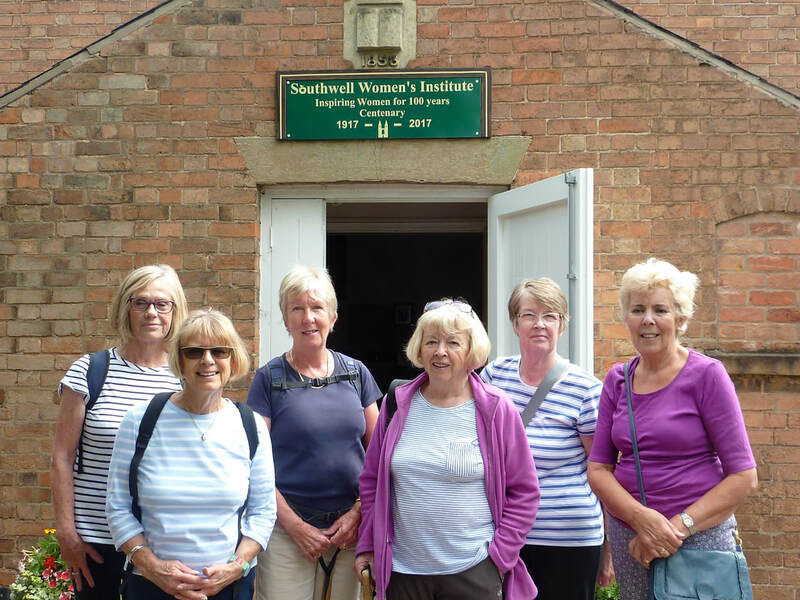 July 5 Southwell (joint oldest WI) Lots of walks to choose from. ​We went on the 100 bus to Southwell and then took the 28 Mansfield bus as far as Farnsfield. Our first stop was on the outskirts of Farnsfield where we visited The Memorial for the Halifax Bomber which is beautifully situated in green fields. 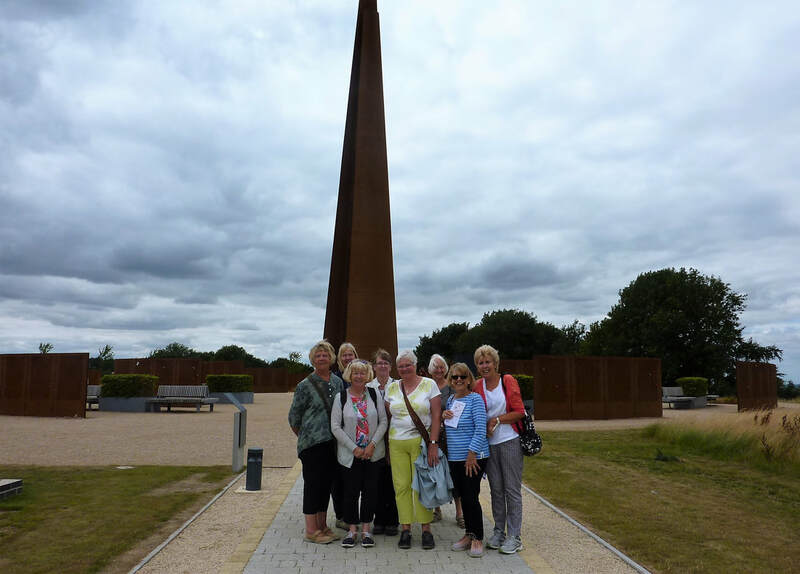 Barbara placed a poppy by the main memorial from the BJ WI. The area has information about the Bomber but also memorial seats (for other relevant people) and special trees linked to the crew of the plane including oaks and maple ( for a Canadian crew member of the Halifax Bomber). 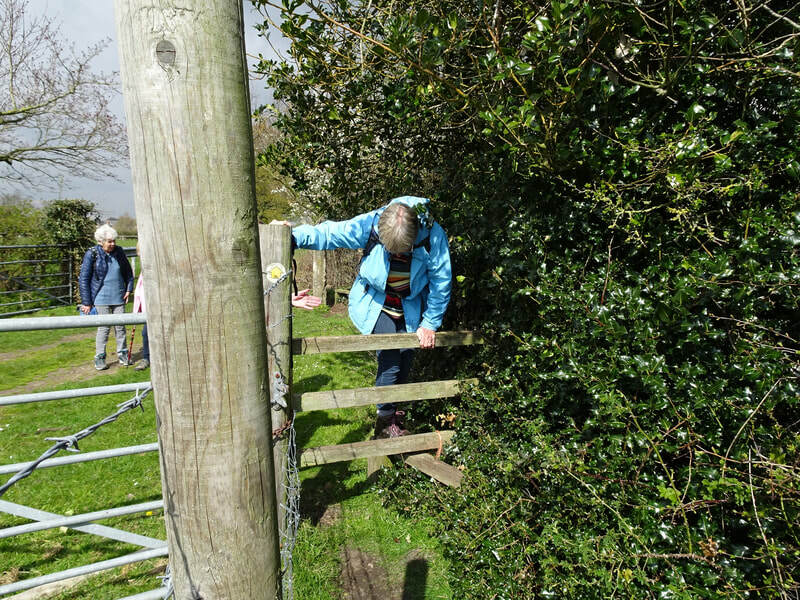 We then continued along country tracks towards Edinley and Halam and had to negotiate some difficult stiles, one especially which was high with just a single step and bordered by a barbed wire post on one side and holly on the other! We briefly went into Edinley Church yard before crossing over the main road to have a picnic in a field. 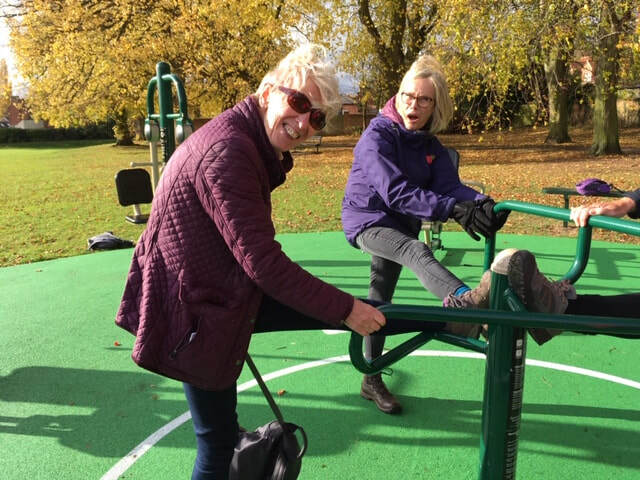 After this we headed for the Southwell Trial which previously had been a railway line and then went for cakes and coffee/tea at Maythorne by the lake which were pricey but a fabulous resting place. 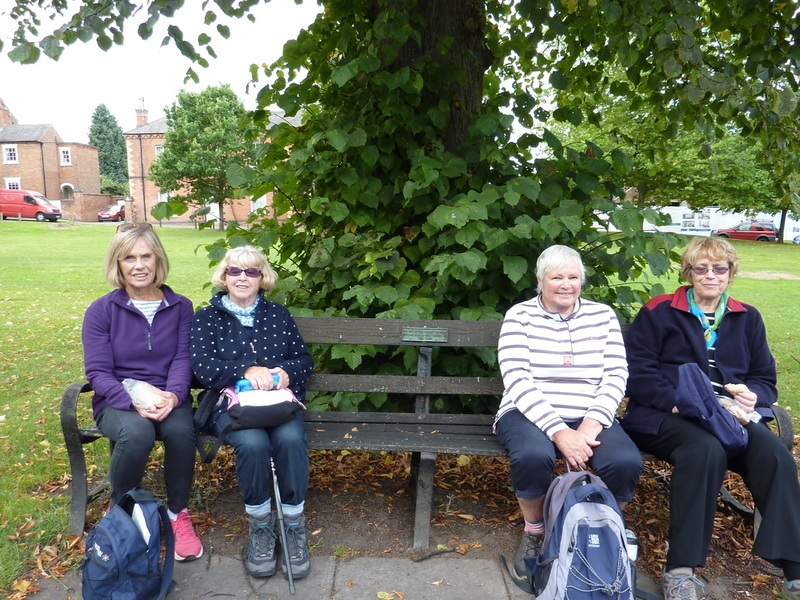 The final part of the walk brought us back onto the Southwell Trail and into Southwell ideally timed for our return 100 bus to BJ. Eleven members set off on the train from Burton Joyce into Nottingham. From the train station we headed across Carrington Street to the Vat and Fiddle inn owned by Castle Rock Breweries, this is a 1930's building which still has a lot of original features. 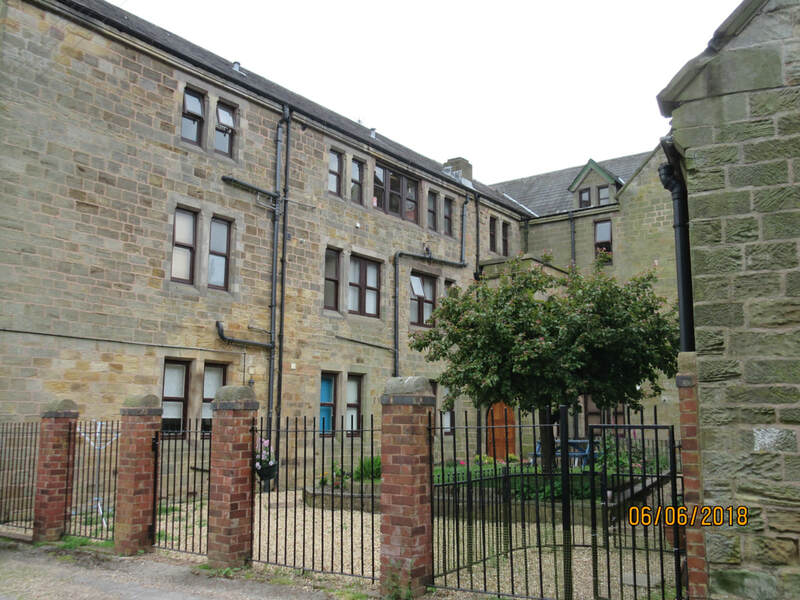 From there we went up to 2 1890's canal side warehouses which are now the Canalhouse and Fellows Morton and Clayton pubs. The Trip to Jerusalem was next where we were joined by 2 more members for a visit to the caves under the Trip which are used as cellars for the beer barrels. This was also a welcome coffee stop. The Trip dates back to around 1680 but is not the oldest ale house in Nottingham, that is the Bell Inn. We did managed to see 7 pubs then had a picnic lunch outside the Playhouse but the rain started just as we were finishing and the rest of the tour was postponed for a sunnier day. 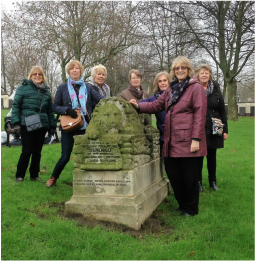 Sixteen ladies travelled by train to Leicester to see the new statue of Alice Hawkins their local suffragette and to visit the New Walk Museum for the Alice Hawkins and Votes for Women exhibition. 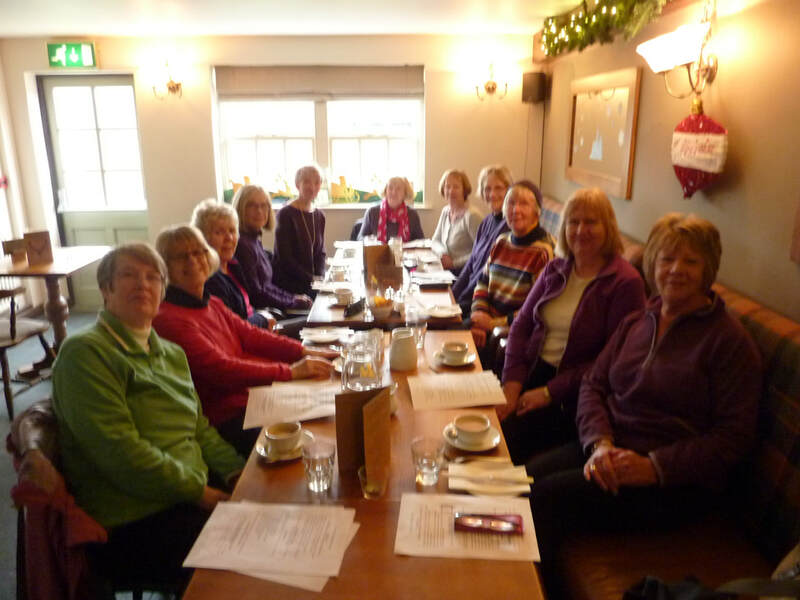 ​Nine ladies, and two very well behaved dogs, departed the village hall on a lovely fine January day, and took the Meadow Lane path, down to the river and followed this path round the bend and on to Biondi’s,where we all enjoyed a good cup of coffee sitting in the shelter at the back of the cafe. I think this was measured as about 7000 steps, so well on track for 10,000 which was the objective of the walk. 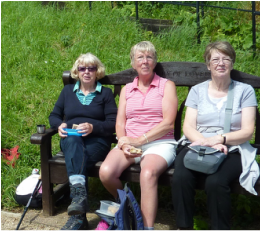 Christine and Marlene left our company after coffee, both having enjoyed the walk so far, but needing to get back. We then retraced our footsteps as far as Green Lane, where we then diverted and followed this ancient track back to Burton Joyce. 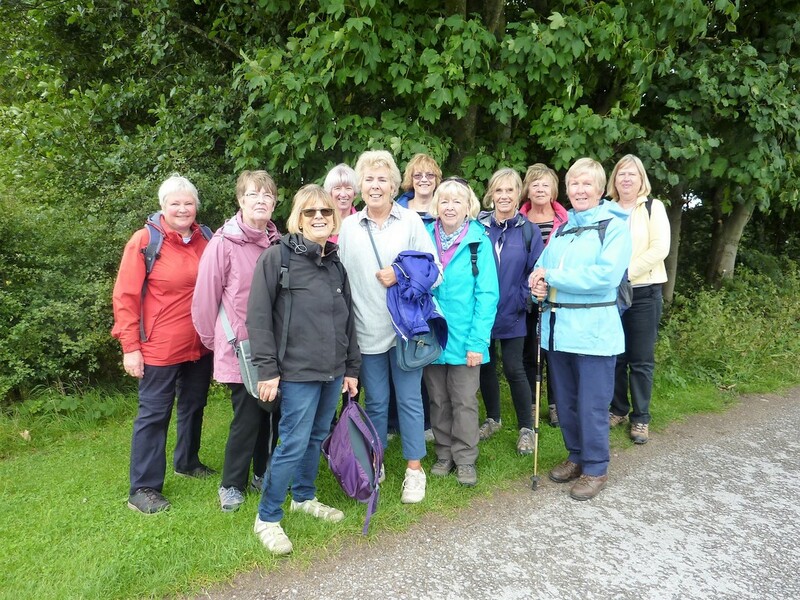 A good walk, delightful scenery in lovely weather conditions and excellent company – all the ingredients for a successful walk. Working hard at the outdoor gym. On another lovely day nine of us went to the new Sherwood Forest Visitors Centre and after a coffee we had a 5 mile leisurely walk and picnic in the Forest. Eleven of us caught the 9.59 train from Burton Joyce to Rolleston and had a leisurely walk back over to Morton for coffee in the garden of the Full Moon. The walk then continued to Bleasby where a table had been booked for lunch (see photos below). 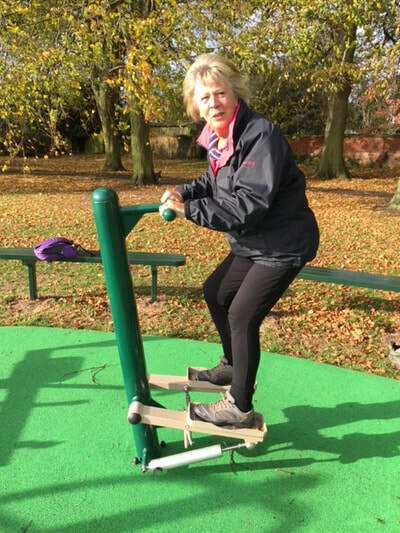 After lunch we did a circuit through the fields to Thurgarton then caught the bus back to Burton Joyce. 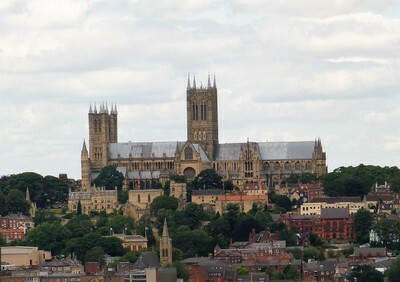 Eight of us headed out to Lincoln on the train to visit the fairly new International Bomber Command Centre at Lincoln which tells the stories of all the people involved with the fight in the air during WW11 via film shows, artefacts and video memories. After lunch in their cafe we walked out to the memorial and the lists of the thousands of people who gave their lives. All very moving. Though we had taken the bus up the hill to the Centre we then walked back to the city for the return train. In a week of sunshine, Wednesday 2nd May was the day it was teeming of rain all morning. 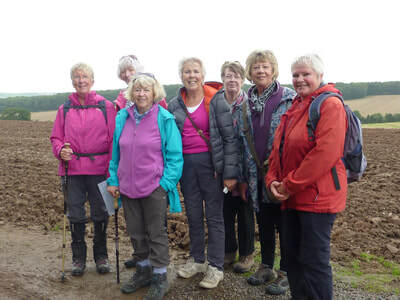 About 5 hardy souls waited until late morning and then, discounting the muddy woods, walked along the farm road from Burton Joyce to Gunthorpe. 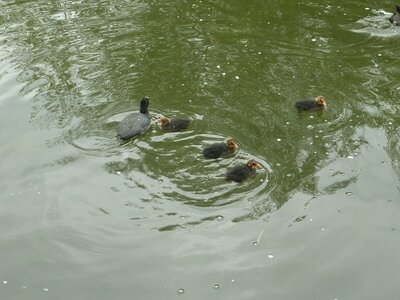 They had a lovely lunch in Biondi's and strolled back in the sunshine that had now appeared. Bus to Nottingham, tram to Hucknall, walk through Hucknall to Linby, Papplewick and on to Newstead Abbey parkland. Coffee at the Abbey before the walk through the park to Mansfield Road, where we caught the bus back to Nottingham. We stayed mainly dry, the day being typically April showers. We were joined by our Guide Steve for a Heritage Walk to Gedling Country Park which is on the site of the old Gedling Colliery. Here we learnt all about coal-mining, and the train lines to carry the coal, in the area. Taking the 100 bus to Lowdham the group went to see the snowdrops on a cold sunny day. The walk then continued to Hoveringham and ended at Gonalston. From Burton Joyce we took the bus into Nottingham and then got another bus to Radcliffe-on-Trent. 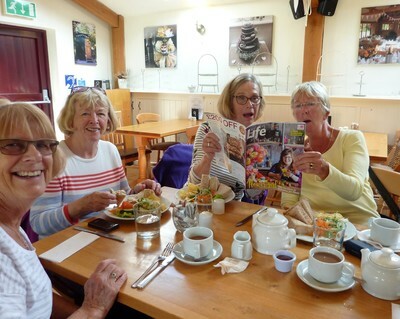 We walked along the cliffs at Radcliffe and arrived at Shelford exactly at 12.00 noon in time for coffee and lunch. After lunch we set out again to walk across the fields to Gunthorpe, then along the river back to Burton Joyce. 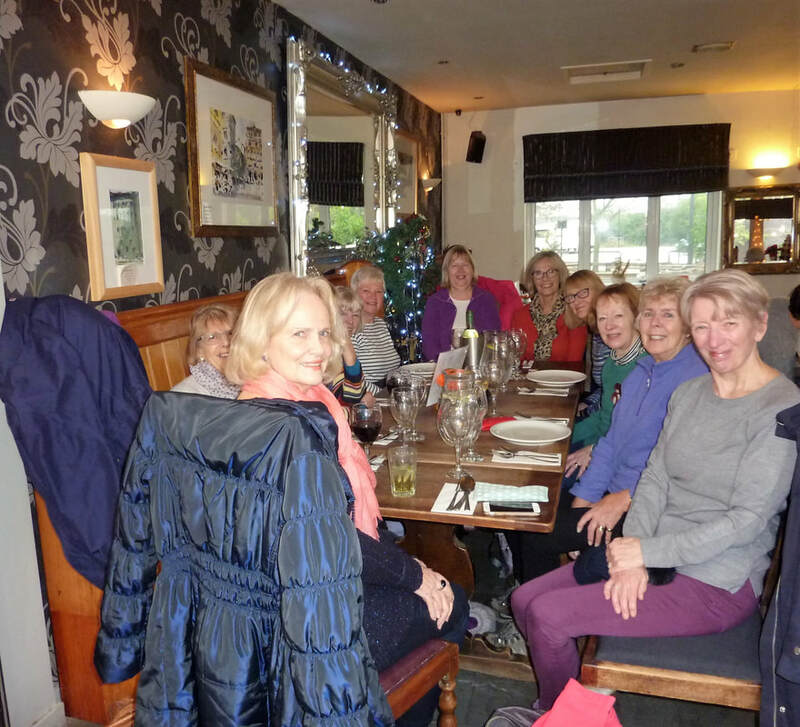 We drove to Epperstone and parked at the Cross Keys Pub and began a circular walk from Haggs Lane, returning at the back of pub for our lunch. 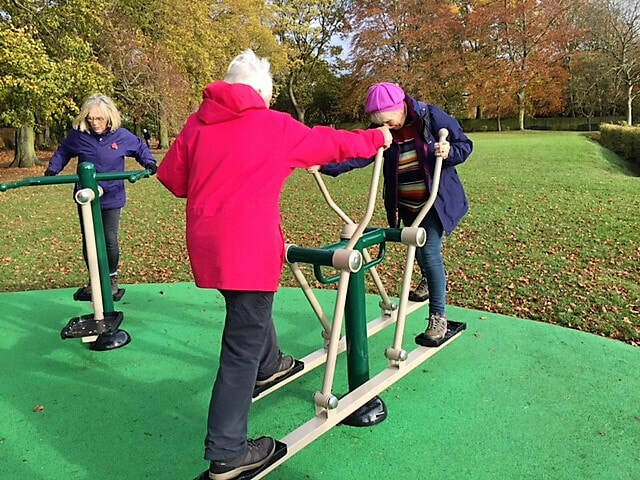 We restarted the Robin Hood Way from where we left off at Moor Green. 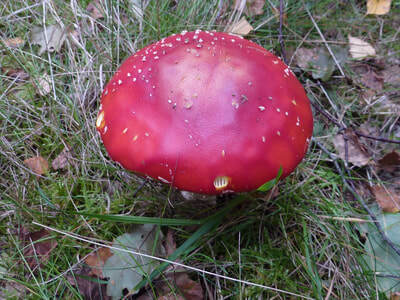 A lot of this walk was through Bestwood Park. We returned to Nottingham on the tram from Butler's Hill. We took a bus into Nottingham and then a bus to Trowell, first we walked along the Nottingham City Canal and then crossed over to the Erewash Canal. 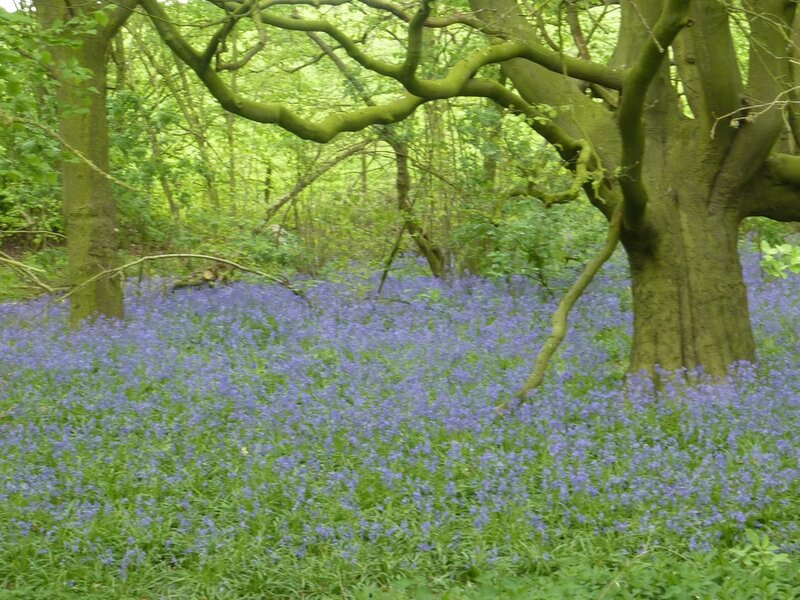 There was still a lot of bluebells around, and water birds with their chicks. 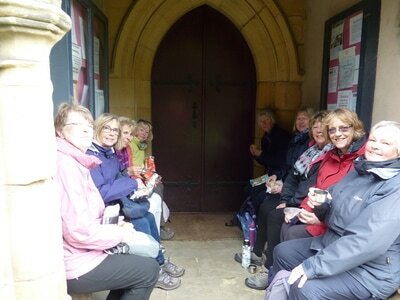 We sheltered from the wind to have lunch at Cossall Church. We took a bus into Nottingham and then another to Kimberley where we joined the trail. 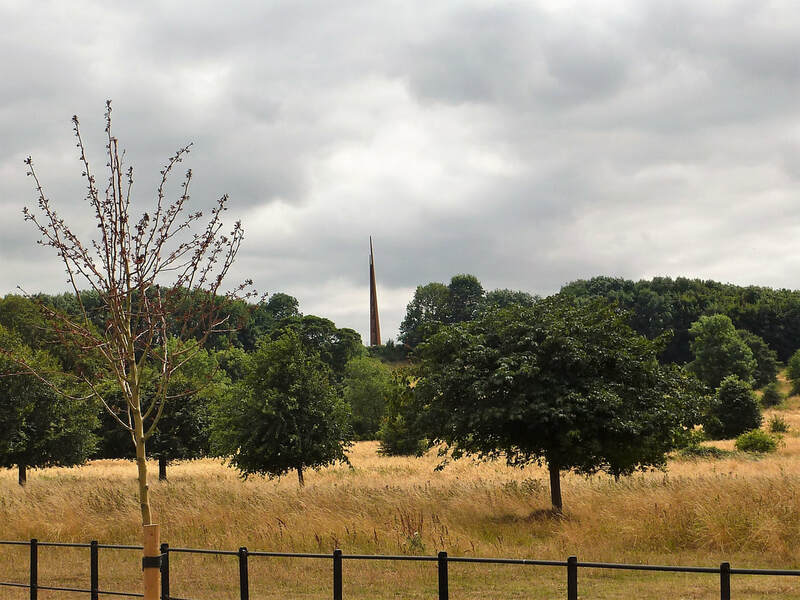 We walked to Hucknall via Watnall and Bulwell. 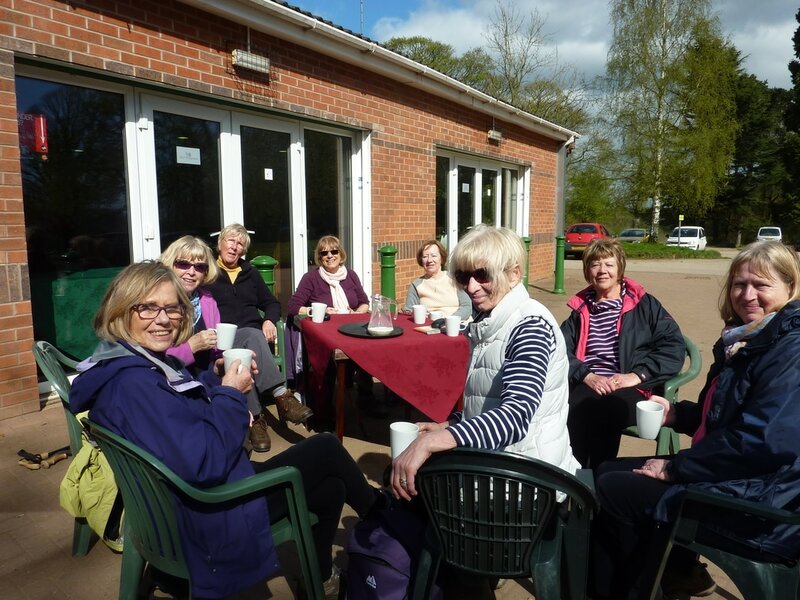 Lunch was a picnic on a hill and we ended with a welcome cuppa at Nottingham Golf Club in Bulwell Hall Park. The weathermen had promised the rain would stop by 8.00am, then 10.00am and then 11.00am. 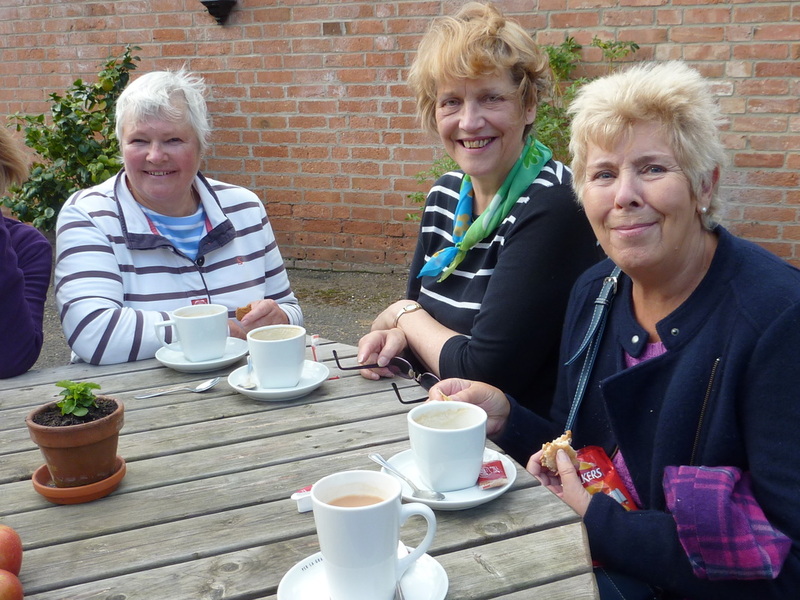 It did not stop until 12.00 noon, by which time we had done the longest part of the walk to The Boat House at Farndon where they kindly let us in with our muddy boots for a welcome hot drink. The photo was taken at County House before we started walking. In the caves under the Malt Cross, more photos in Gallery Photos 2017. Relaxation day after a year of walking. 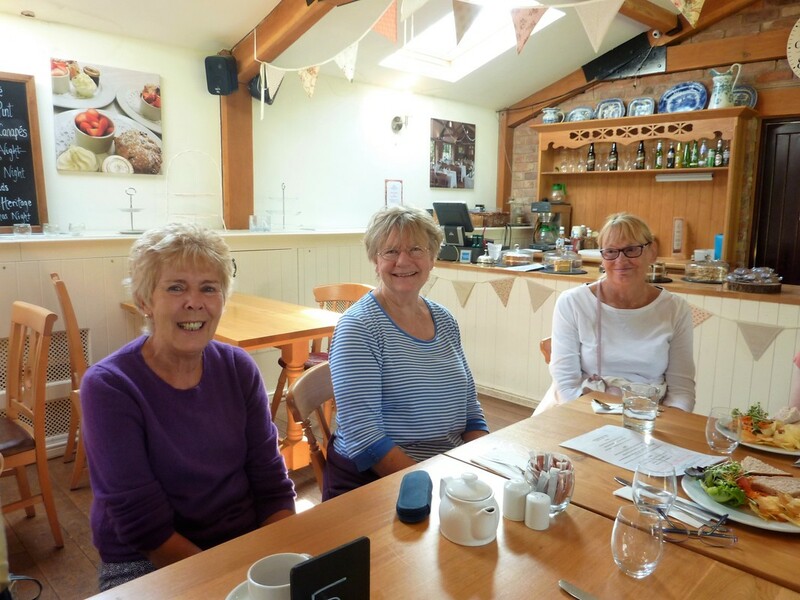 The get-together started with a Planning Meeting for next year's walks then the Group walked from Lowdham to Caythorpe for lunch at the Old Volunteer. 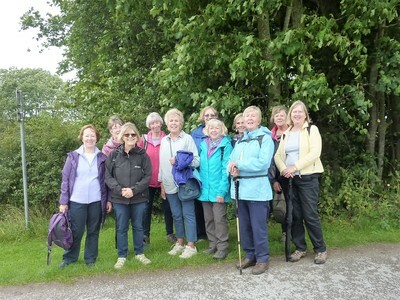 Eight members set off to Southwell and did a circular walk around the town. On the way scrumping a few apples before a coffee break at Norwood Grange Golf Club, and ending with a picnic on the Burgage, one lot on the WI bench. 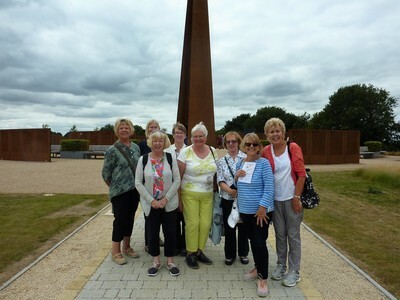 Eight members set off on the 9.24 bus into Nottingham then caught the Sherwood Arrow bus from Victoria Bus Station to Sherwood Forest Visitors' Centre. First stop a drink at the centre and then off to see the Major Oak and a circuit walk of the Forest with a picnic on the way. 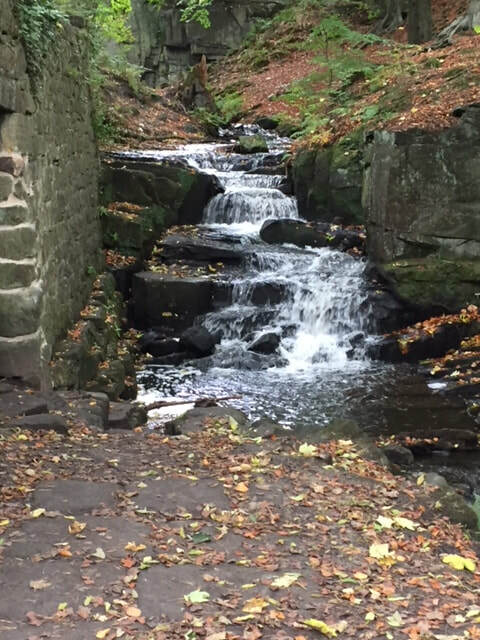 ​Seven members started from Burton Joyce War Memorial and were quite surprised when the first stop was for coffee just up Padley's Lane. 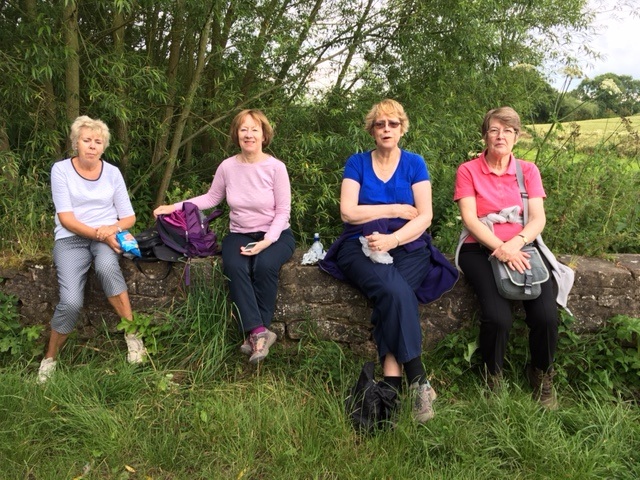 After a nice break we continued over the hill to Lambley and on a circular route which brought us back into Bulcote where we had our picnic at St. Luke's Church. 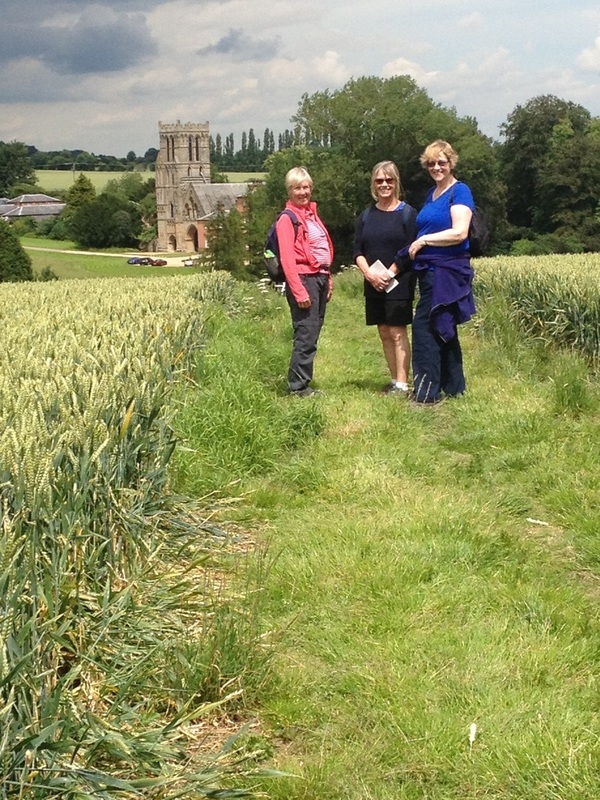 After lunch we continued through Bulcote and along the river back into Burton Joyce. Eight members travelled by bus to Thurgarton then set off up the hills into the countryside, stopping on the walls of an ancient sheep wash to have a picnic. 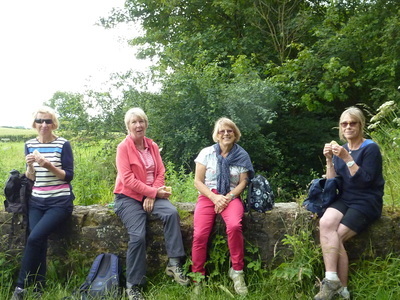 Twelve members of the Trent Valley Walkers and the Craft Group went by train to Cromford where we met up with Pat's husband, Graham, and 4 old friends. Graham took us on a tour of the town, including Arkwright's Mill, before the group split and the serious walkers went up the hills into the countryside and the others took a leisurely stroll along the canal. It was a bit of adventure because the A614 Rufford was closed all day and the bus was going round the villages and not to Rufford. 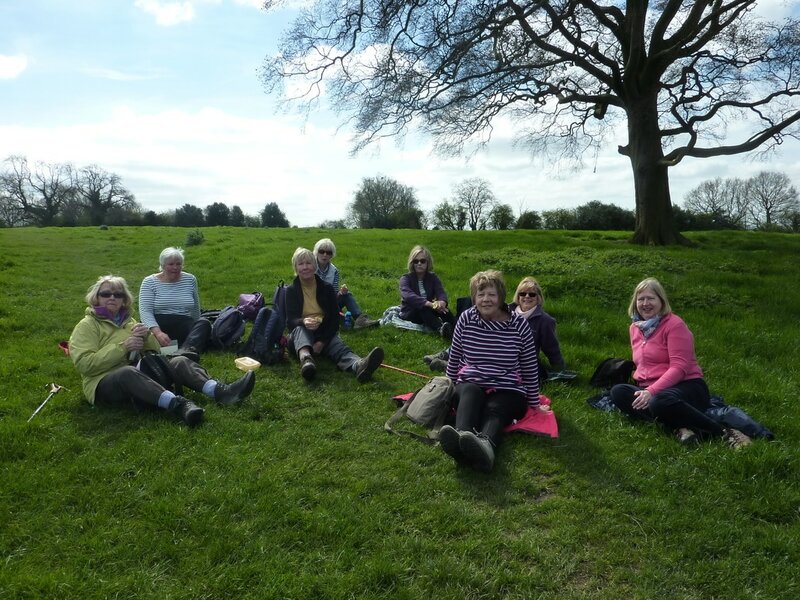 We were well on our way when we found out.But we managed to persuade the bus driver to drop us at Wellow and then we could reverse our walk It was a beautiful day and the bluebells were magnificent. 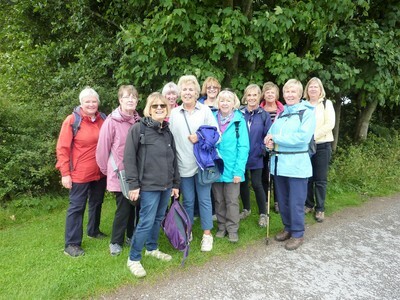 Walkers gathered at Burton Joyce Train Station and took the 10.04 train to Attenborough. 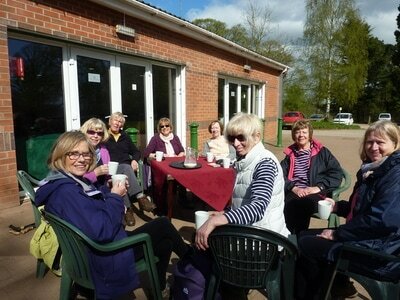 It was lovely and sunny as we left the station and walked to the Nature Reserve cafe. The sunshine lasted while we had a drink and then set off for the walk around the reserve, however, we had only gone a short distance before the heavens opened and the rain lashed down for the next hour. Thankfully it had stopped before we ate our picnics and walked on to Chilwell where we caught the tram to the Lakeside Centre at Nottingham University. Another drink and a look around the art exhibition then on the tram again into town for the bus home. 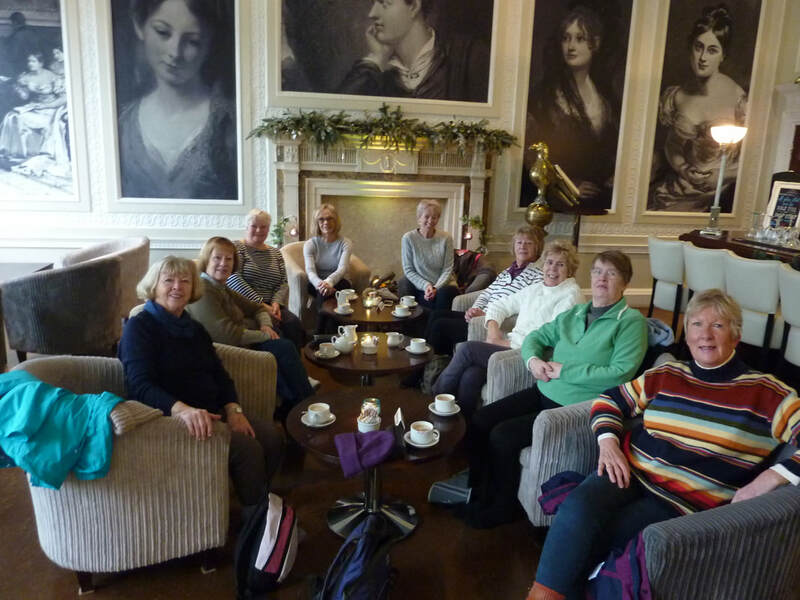 For the March walk they had taken the bus to Nottingham then tram to Clifton South to walk through Clifton Village, in the rain, and along the river, it was dry by now, to Wilford, stopping for lunch at the Ferry Inn before getting the tram back into town. 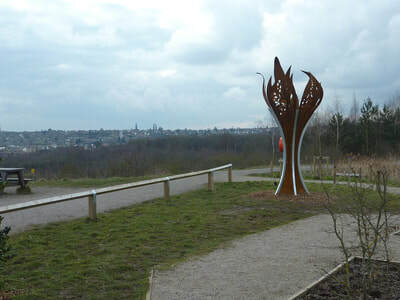 Our February City Walk took us back to a pre-Norman part of the town, Sneinton, and included visits to the birthplace of the founder of the Salvation Army (William Booth museum), the only surviving windmill in Nottingham where George Green worked on his mathematical formula and St Stephen’s Church – a church of interest and having the burial place of Green. We also followed a route around the Victorian streets viewing the architecture which came about following the expansion of the city after the Enclosure Act of 1845, see our walk below. ​We set off on the 10.04 am bus to town, then the tram to the Forest with the intention of following all of the green open spaces given to the city people at the time of the Inclosure Act of 1845 ( that spelling is correct according to the Friends of the Forest) and walked via Waterloo Terrace, the General Cemetery, the Arboretum, Elm Avenue, Robin Hood Chase to St Ann's Well Road, through St Mary’s Rest Garden, The Victoria Park and on to the Lace Market where we had a delightful, and very welcome, lunch stop on High Pavement – the Hungry something or another – down to the station and then followed Queens Walk to the embankment before we caught a tram back to the city centre. A walk of about 6 miles. The photo is of Abednego’s lion which marks the burial spot of the prize fighter – Abednego (William Abednego Thompson). For the August walk we caught the bus into town and walked down to the Broadmarsh Bus Station to catch the 10. 30 Kinch 9 Loughorough direct bus . This is another nice ride through the countryside. We got off the bus at Hoton which is in Leicestershire and walked through the the fields to Rempstone on a well defined path.To avoid a large field with a large herd of cows with calves we walked along a quiet country road before joining the footpath and had a picnic in a sunny field. The next part of the walk was across the fields and down into Costock in time to catch Kinch 9 back into town. We are almost there just another 4 villages to visit and we have made the 100. Some we have walked through, some we have travelled through on bus or train and occasionally in the car. On the whole, most of the days have been warm and sunny ,even in winter . 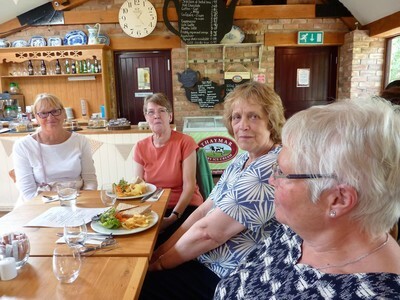 But every wallk has been full of fun and full of chatter and good company..
1.East Leake ,West Leake and Gotham. Sitting upstairs on the number one bus to East Leake we had a spectacular view of the new Tram Terminus being built at Barton Green ,Clifton. After walking through the woods a fairly steep walk took us up on to the ridgeway and we had a clear view across the fields to Ruddington and Bunny. The path joined the lane to West Leake where we turned left and walked on to Gotham through the golf course . Lunch was at the Cuckoo Bush in Gotham before catching the bus back to Nottingham.The plan for the next walk was hatched at the pub. It was necessary to use cars for this visit as we called in at the Eden Hall Health Spa for the day to recover from all the walking!!! 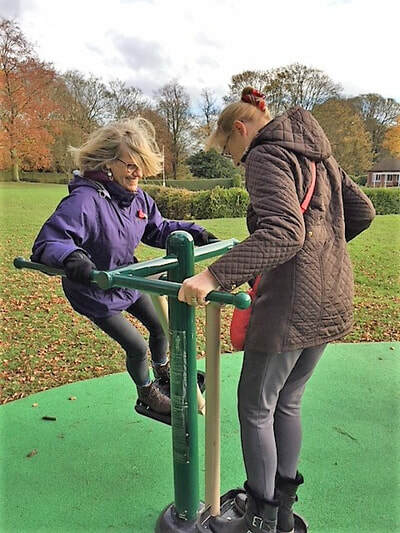 This time we caught the bus to Southwell and then the bus to Farnsfield.The walk took us through the village of Farnsfield and across the field eventually to the A614 which we had to cross.Armed with a high vis jacket we almost stopped the traffic but everybody managed to cross safely. 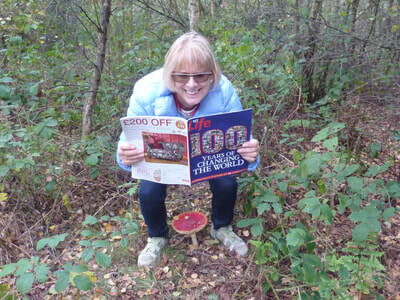 Another sunny day meant we could have a picnic on the edge of the woods and wander up into Blidworth to catch the bus back to Southwell to pick up the pathfinder 100. 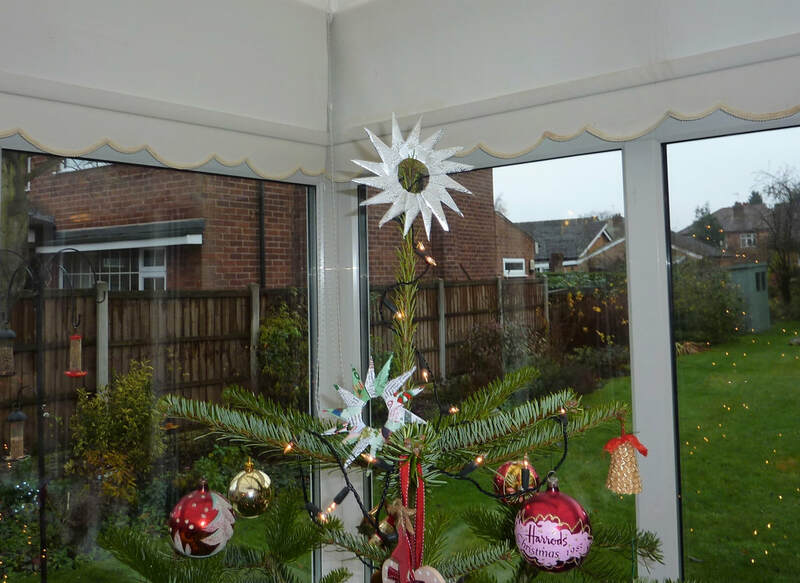 4.Bottesford and Scarrington,Orston and Thoroton. The bus for this journey only goes from Lowdham to Bottesford on a Tuesday or a Friday.For most of the journey we had the bus to ourself and we managed to keep the driver company.He was very obliging and stopped the bus for our photographer to get off and take pictures of the WI Hall in Orston and Thoroton. We visited the lovely church in Bottesford and had a picnic lunch by the stream.It was imperative that we all caught the bus back that day becuase the next one was not until Friday afternoon. 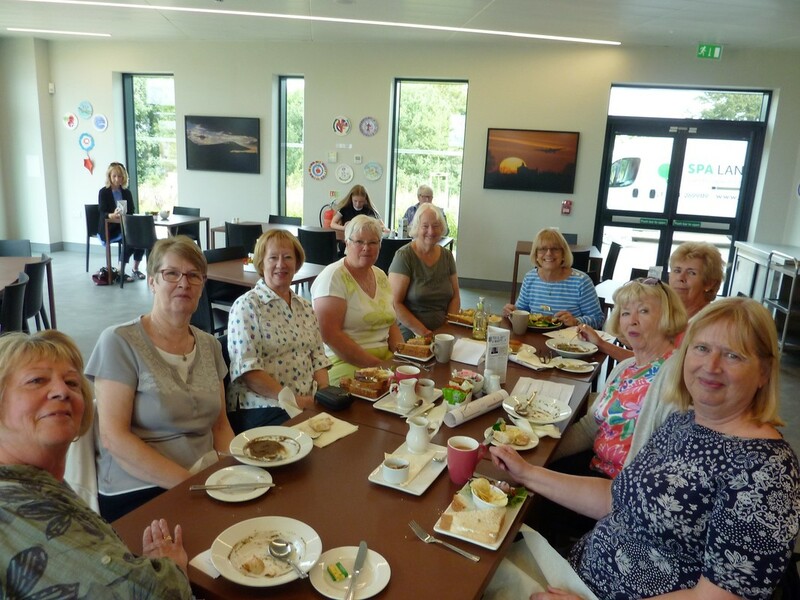 No buses available for this one, so we took our cars and parked them on the edge of Laxton so we could walk across the fields to Beth Shalolm, the Holocaust Memorial Museum.A lovely summer day meant that we could have a picnic lunch in the rose garden. We passed through the other two villages. Country File came from Laxton on the following Sunday .The village is the only one in the country still using the open field system of farming. 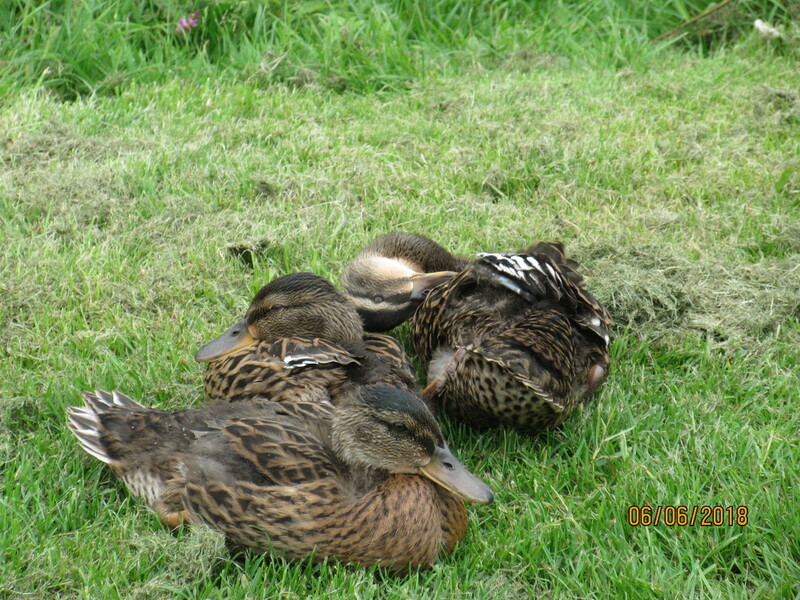 We walked acorss the muddiest fields ever from Cauton to Norwell. But it was a glorious cold but sunny day. Lunch was at the Caunton Beck .The day was made more interesting by sharing it with one of our group,s daughter who was over from the states. Its getting more difficlt to get to the northern regions of the county so for this one we took the train and paid a visit to Mr Straws House in Worksop.Not too much walking but it was the hottest day of the year and we could almost cool down on the train.The journey took us through Mansfield,Mansfield Woodhouse, Sutton and Kirkby. We caught the number 5 bus to Epperstone and walked over the top to Oxton. 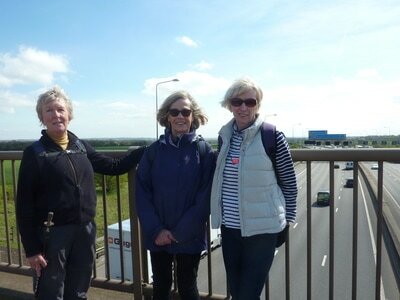 After lunch at The Bridge we walked to Calverton and caught the bus through Arnold to Nottingham. Back home early on the pathfinder bus. Cotgrave Connection bus goes from Friar Lane. We walked alongside the Grantham canal to Cropwell Bishop. 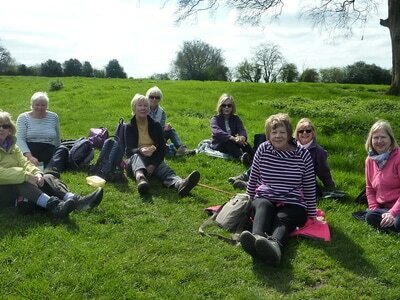 After picnic lunch at the Cropwell Butler cricket ground we walked to Bingham . A fast bus took us back into town. Into town to catch the pink 34 to Wollaton Park gates. 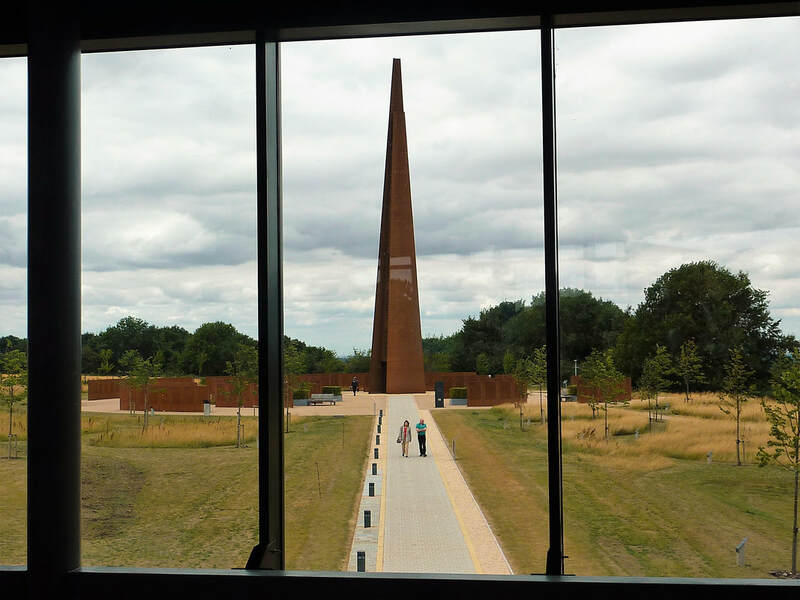 Following coffee at the hall we walked to Bramcote going through the Holoucaust Memorial Garden,. We caught the Derby bus back into town after lunch. 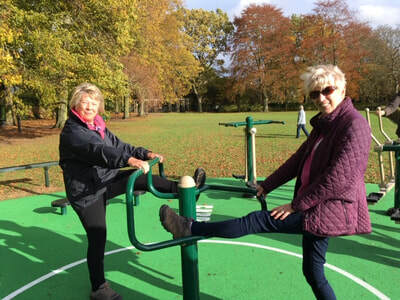 6.Eastwood and Brinsley,Kimberley ,Nuthall and District. The Trent Barton bus Blue 1, from the Victoria Centre took us to Eastwood in time for our guided tour of D H Lawrence’s Birthplace Museum. After lunch at The Sun Inn we went to The D H Lawrence Heritage Museum then the followed The Blue Trail through Eastwood. The buses were all on time that day. The 10 past 10 Mansfield bus from the Victoria Bus station took us to Newstead Abbey gates . 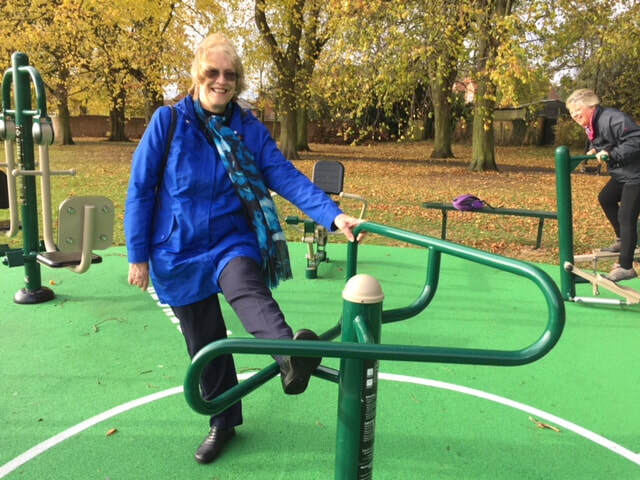 After coffee at the Abbey we walked through the park to pick up the Linby Trail to Hucknall. On the way we had a picnic lunch at Papplewick and caught the tram from Hucknall back into town and the Pathfinder bus was waiting for us. 8.Bunny and Bradmore, and Ruddington. 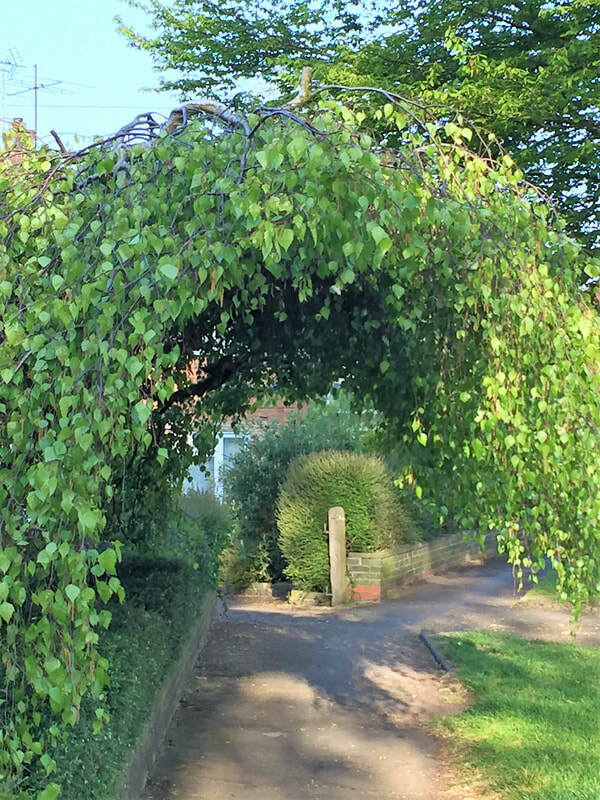 The Loughborough bus from the Broadmarsh Bus Station took us to Bunny .The path through the village led to Bradmore where a kind gentleman gave us all a booklet on local walks. After walking through Ruddington Park we had a look at the local church. Lunch was at a café in the village and a double decker bus brought us back to Nottingham. 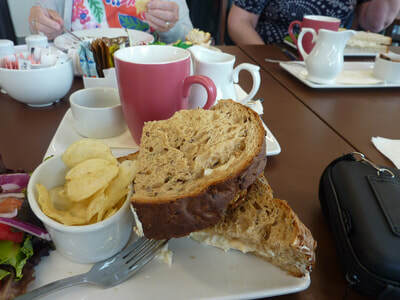 We followed the Southwell Trail looking at the heritage of Southwell and ended the day at the Bramley apple for lunch. 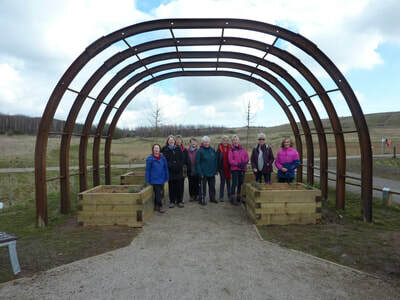 After a very interesting vist to the Council House we went on a guided walk through the town then through The Park ,via the old hospital and through the tunnel.,. This walk started from the very old centre of Nottingham and then into the centre of The Lace Market to look at the fine architecture .After lunch at The Nottingham Contemporary Art Gallery we had a visit to the Galleries of Justice. This visit gave us real understanding of the history of Nottingham. We caught the bus from Southwell to Upton and had coffee at the Clock House at the Horological Society. 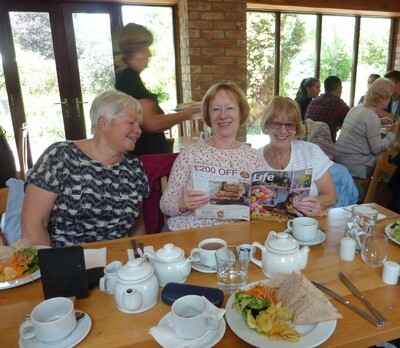 Walked from Upton to Southwell and had lunch at The Hearty Goodfellow. Followed by a visit the Workhouse, National Trust Property. Some members took part in the BIG WALK LITTLE SPLASH and decided they would like to take up a new challenge, but what to do? Then one member came up with the idea of walking the TRENT VALLEY WAY. So on the first Wednesday in October 2012 the challenge began. A lot of research was done to get us to the start of each section using buses (passes came in very handy) train and cars, always looking for a good picnic spot or even better a public house for the most important comfort break. 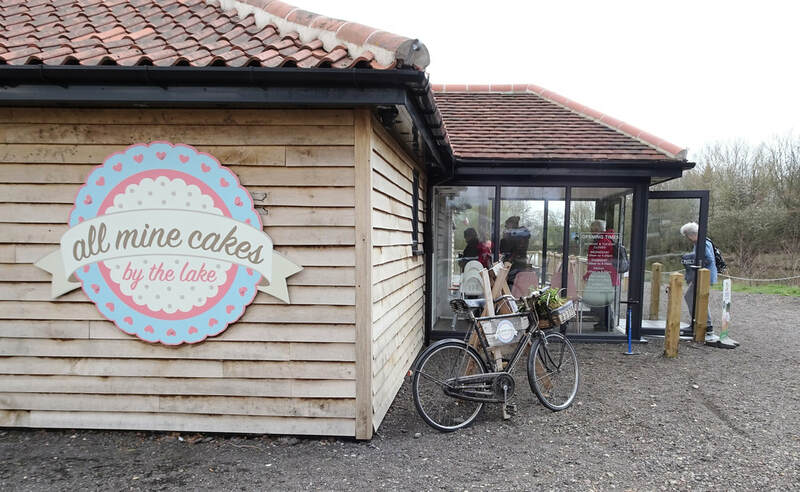 On our journey across Nottinghamshire we became aware of what a lovely county we live in. 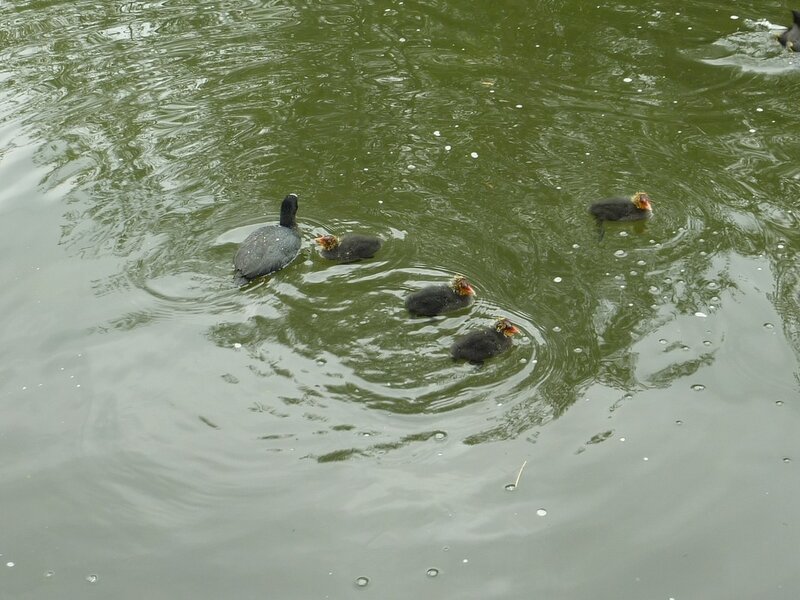 Starting our journey at Long Eaton, passing through Attenborough Nature Reserve, then on to the heart of the city along the Victoria Embankment to Radcliffe-on-Trent. 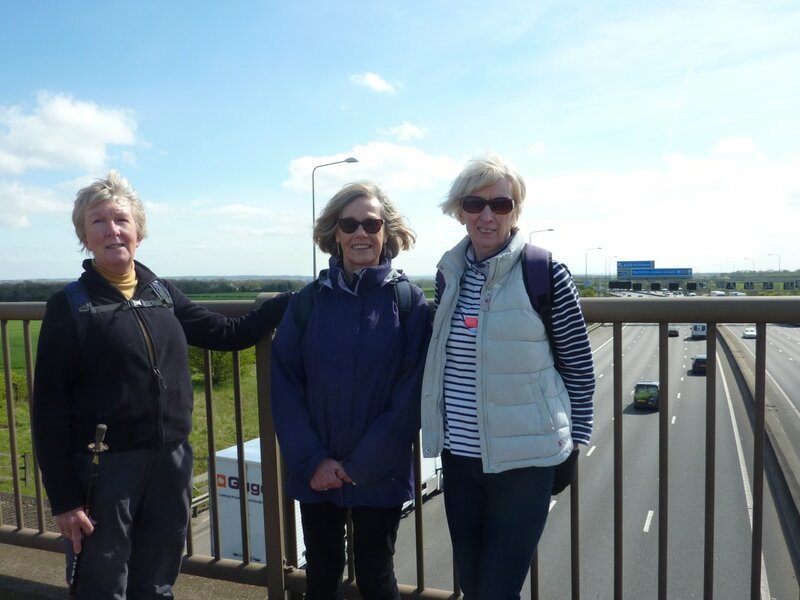 The next section from Gunthorpe to Newark-on-Trent was familiar to many members. 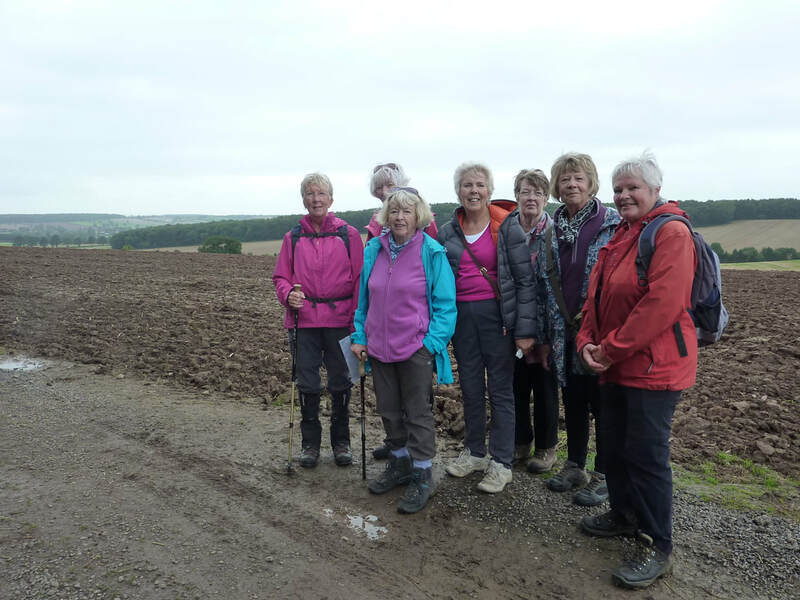 As we walked further to the north of the county the landscape became very rural passing through lovely farmland and sleepy villages. 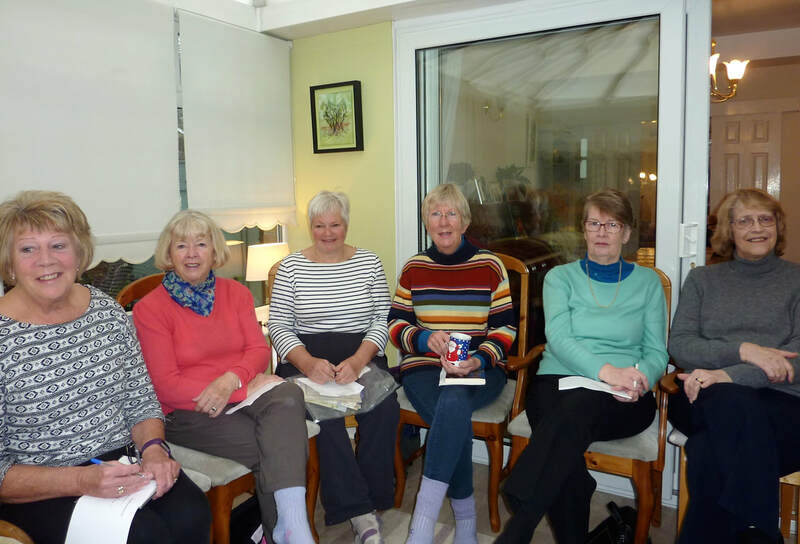 We had many adventures on route, the weather was very varied, a lift in a dumper truck, no bridge to get us across a stream, no bus to reunite us with our cars (kind gentleman came to our rescue), but as we all know the WI is never beaten. 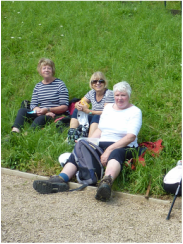 We had so much fund and laughter on route and finally finished on Wednesday 4th September 2013 with much celebration and a well earned glass of bubbly!!! !